Create captivating eyes with the PUPA Multiplay Triple-Purpose Eye Pencil; a long-lasting liner that lines and defines your peepers. The kajal pencil effortlessly glides onto the eye, delivering ultra-intense colour payoff with a blendable finish. 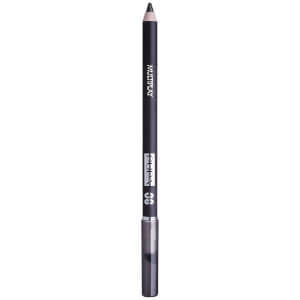 The double sided pencil can be sharpened for precise and defined results, or smudged using the built-in smudging brush. 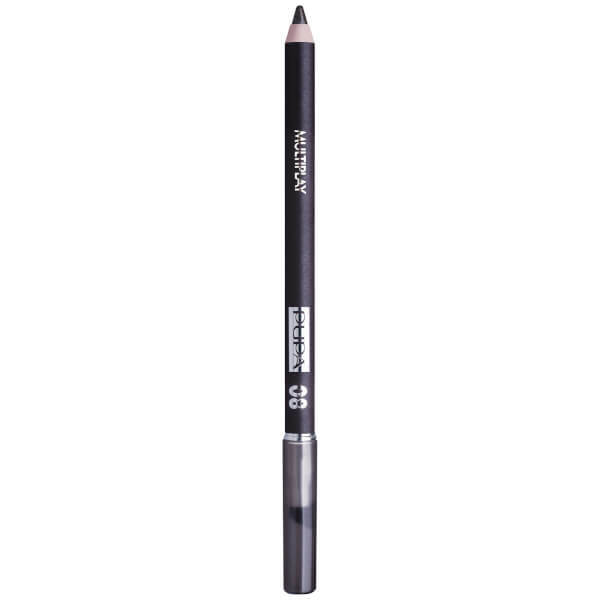 This can create an array of looks from smokey eyes to using the pencil as eyeshadow. The eyeliner arrives in several enchanting hues; the brown shades are perfect for blue eyes, the violet tones enhance green eyes and the blue ones are great for brown eyes, whilst black works to enhance all gazes. Starting from the inner corner of the upper eyelid, follow the natural lash line, stopping according to the natural shape of the eye and to the desired result. Smudge the line if you wish to get a shaded effect. Then repeat the operation on the lower lash line, blending with an eye brush or a smudger. The shaded effect works as a base for our eyeshadow as it helps increase its hold and guarantees a homogeneous application. This product can be also applied on the lower waterline to give greater depth to your eyes.